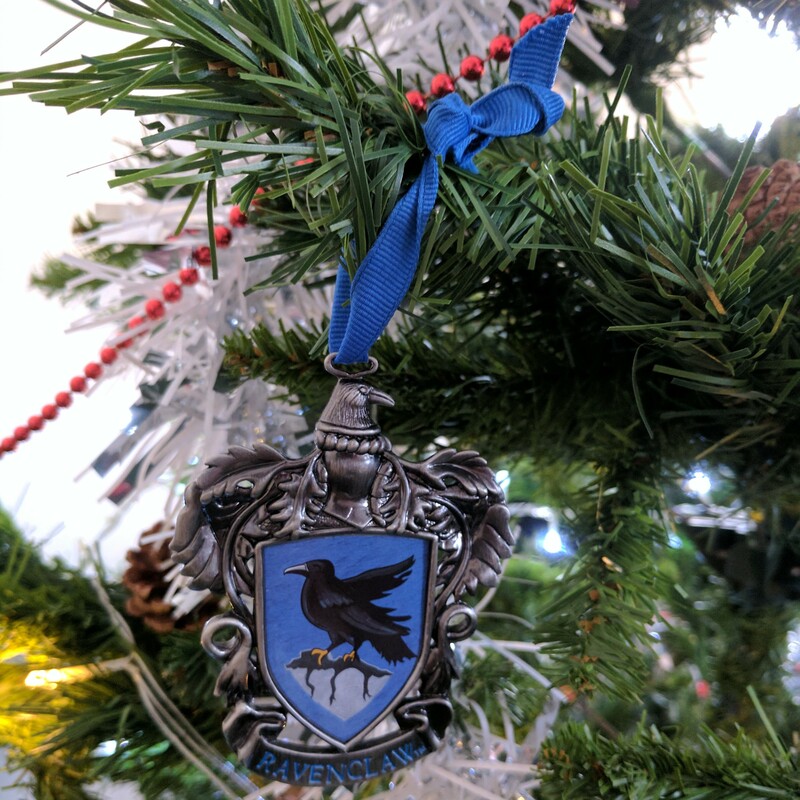 On the 13th Day Of Christmas my True Love Gave to Me... Ravenclaw Gifts. 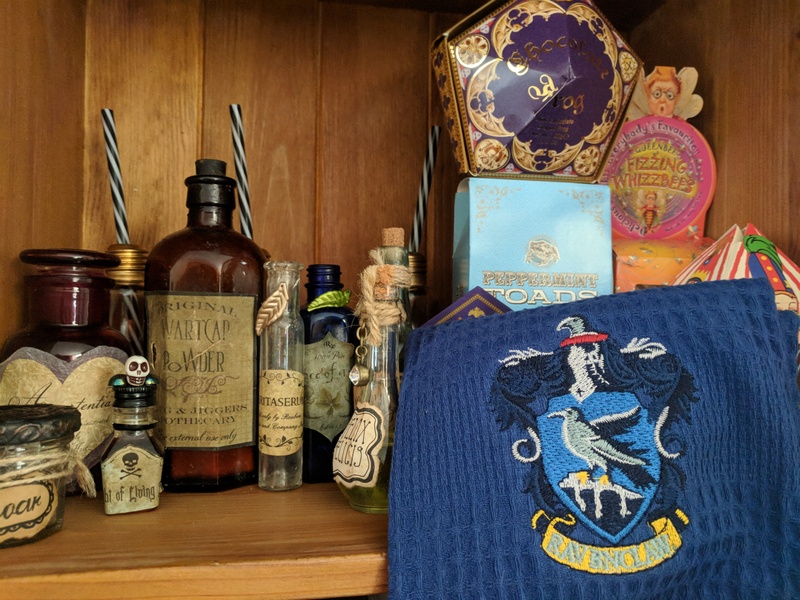 I needed to include at least ONE thing from the Studio Tour in my Ravenclaw goodies (even if the official merch is SUPER over-priced). I’ve had this Ravenclaw bauble for about… 4 years now. It’s up all year round and moves to the tree in December. 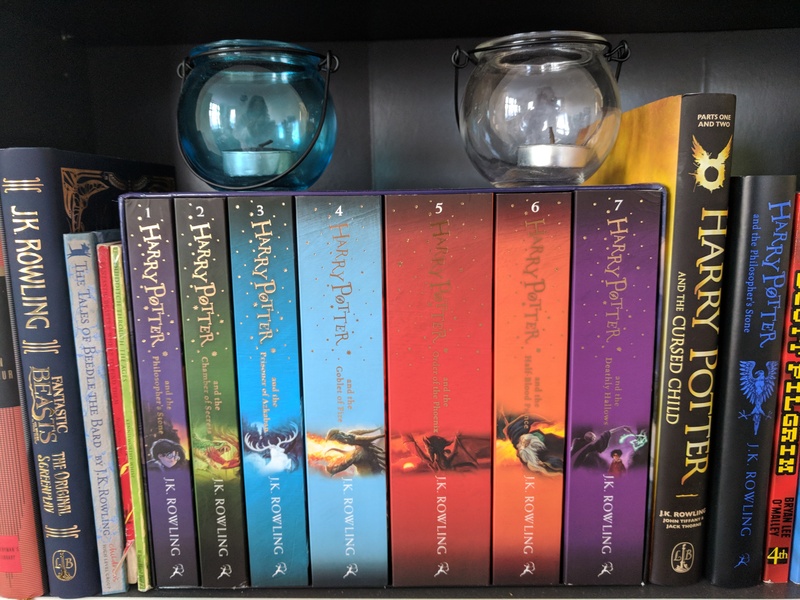 Hermione can be wise beyond her years and although she’s a Gryffindor at heart she is still an honourary Ravenclaw in my eyes- she just needs to sort out her priorities. 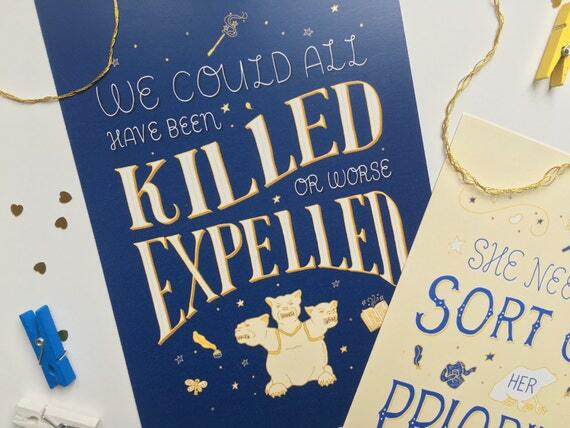 This is just one of loads of Harry Potter and magical themed prints Lizzie has created! 3. If you’re a Ravenclaw who isn’t just book-smart, but look-smart then you could take that suit to a new level with these Ravenclaw cufflinks. 4. Or set off that Yule-Ball dress with some Ravenclaw earrings from Wizarding Wares. 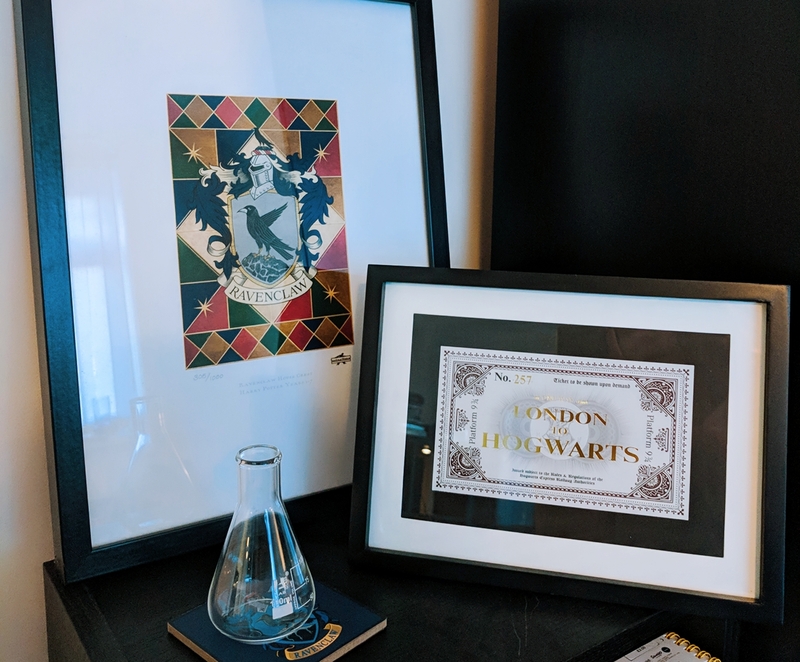 From the store of Mina Lima, the people responsible for the graphics for all the Harry Potter movies. This particular one is 256/1000 so, get them while they’re still around! And my Ravenclaw Coaster too! 7. This hand-turned pen, by Mr Geoffrey Schild. Every Ravenclaw needs a good writing instrument. 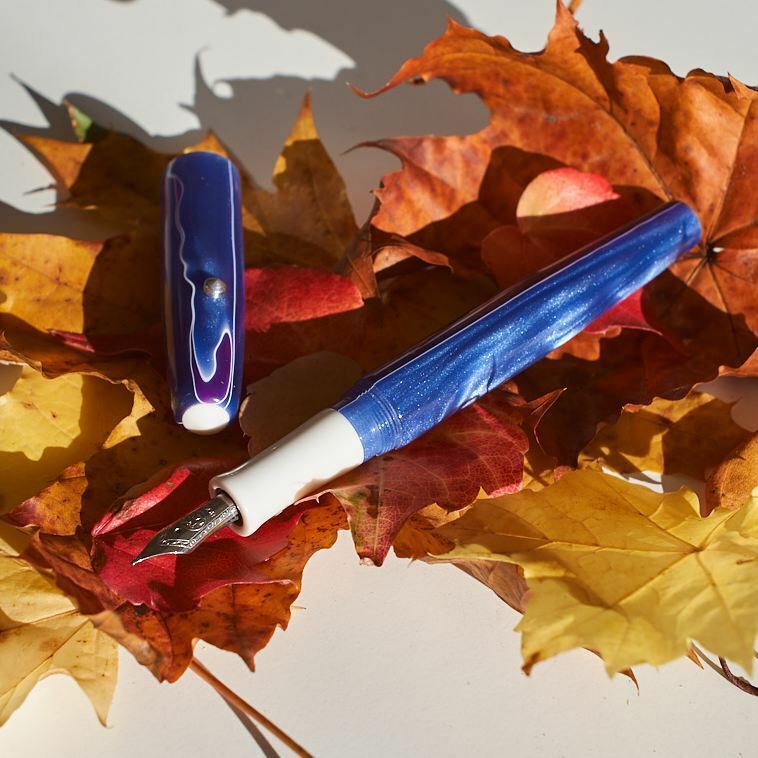 Based in Switzerland, he lovingly produces these pens to order and can alter everything from the colour and shape to the finish of the nib. When a quill is just too flashy! For those who love a quiz, love Harry Potter and know ALL the answers. I had never won a game of Trivial Pursuit until they brought out the Wizarding World of Harry Potter version. Now I can feel smarter, too! Okay, I lied, two things from the studio tour! BUT, this hoodie has lasted me for about 7 or 8 years now. The colour and print is still bright, it’s comfortable, I literally live in it… It’s actually reasonably priced? It’s great. 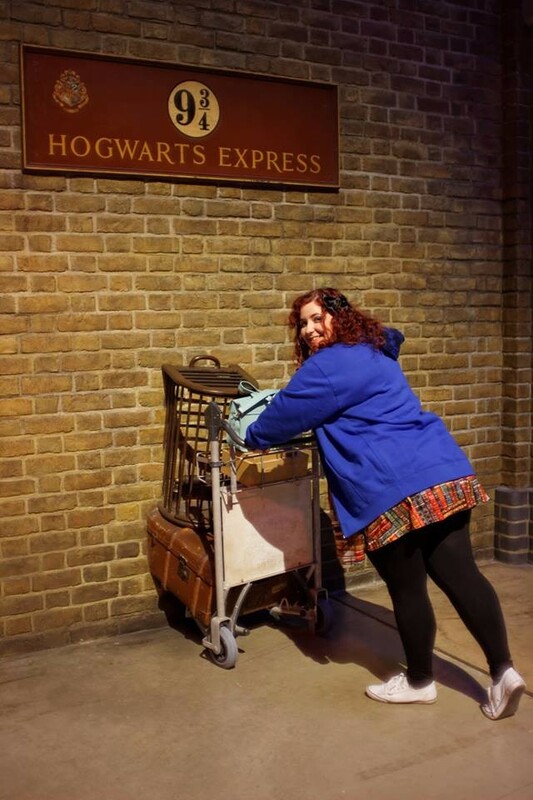 Ten points to Ravenclaw! 10. Last but not least, BOOKS. Duh! These thoughts are unsponsored and entirely my own. 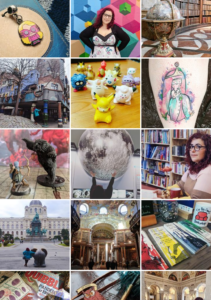 If you want to contact me for a sponsored post please email me here.